Electrospec Home Inspection Services is committed to protecting the privacy of clients and visitors to our website. This Privacy Statement applies to data collection and usage on Electrospec sites, products and services. We do not collect personal information (details that can identify you as an individual, such as your name or address) without your knowledge. Personal information is collected from Electrospec clients, their agents, subscribers to “All Around The House” newsletter, and those requesting information or who wish to be on Electrospec’s mailing list. Occasionally, personal information may be provided by a colleague or agent of an individual, or may be accessed from the individual's organization website. If you choose to make product or service purchases, we may collect additional personal information, including your credit card number and billing address, in order to process payment or create a billing account. Any personally identifiable data about our clients, their agents or website visitors is stored securely. The term “personal information” refers to information that specifically identifies you as an individual and is provided to, or collected by Electrospec or that we collect from other sources with your permission – for example, your name, address, phone or fax numbers, email address and credit card numbers. Our website contains links to other sites. Once you leave our website, you are subject to the privacy policies of the other sites you visit. We are not responsible for the privacy or security of websites not owned or operated by Electrospec. This information will be used to deliver services, products or programs you have requested or enrolled in. In addition, individuals or their agents may receive invitations to participate in relevant surveys, and copies of Electrospec’s newsletter “All Around The House” in email or hard copy format. Upon receiving an opt-out notice we shall make no further use of your personal information in the fashion objected to in your opt-out notice. Requests can be sent to Electrospec by email. Electrospec may also uses your personal information to inform you of other products, services or benefits available from Electrospec and its affiliates. Electrospec may also contact you via surveys to conduct research about your opinion of current services, or on other research initiatives. Electrospec does not sell, rent or lease its customer lists to third parties. Electrospec is committed to protecting the security of your personal information. 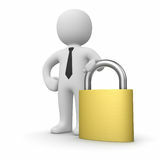 We securely store and protect personal information from unauthorized access, use or disclosure. For example, we store personal information you provide on computer systems with limited access and in controlled facilities. Information is securely erased when no longer needed. Credit card imprints and other such documents are destroyed after use, buy shredding or other suitable means. Electrospec will occasionally update this Privacy Statement to reflect regulatory changes and or customer feedback or concerns, without notice. You will see the date next to the document title indicating the last update. Electrospec encourages you to review this statement periodically for changes.